The event was an overall success with about 130 attendees. 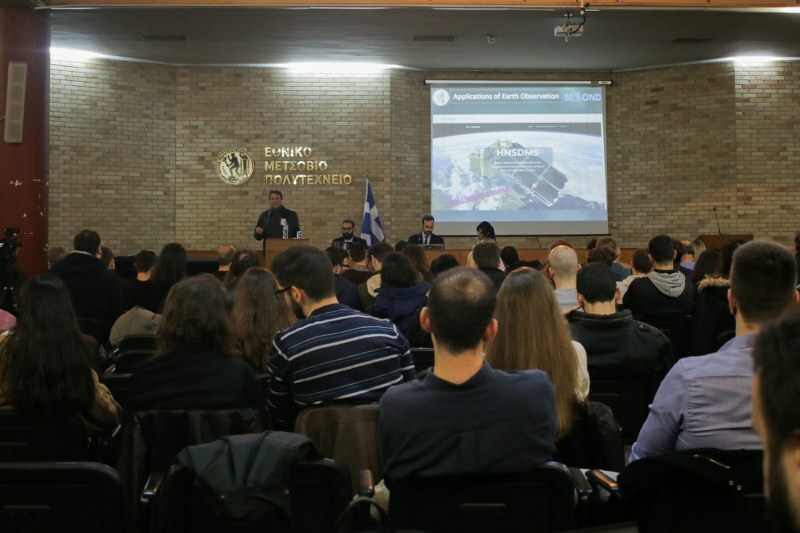 Many discussions took place and the main goal to bring together experts, ECE-NTUA students and young professionals interested in joining the industry, and promote space-related career development was achieved. 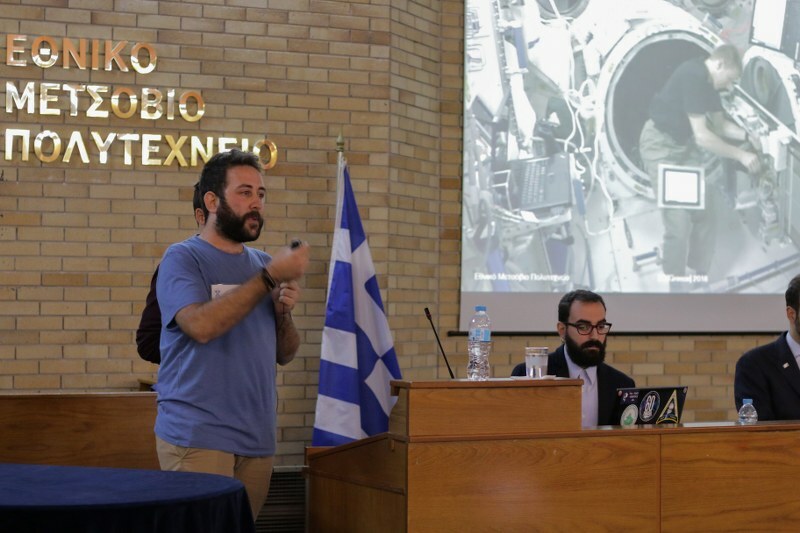 It focused on the dissemination of information regarding opportunities to get involved in the Greek space sector and the European Space Agency (ESA). 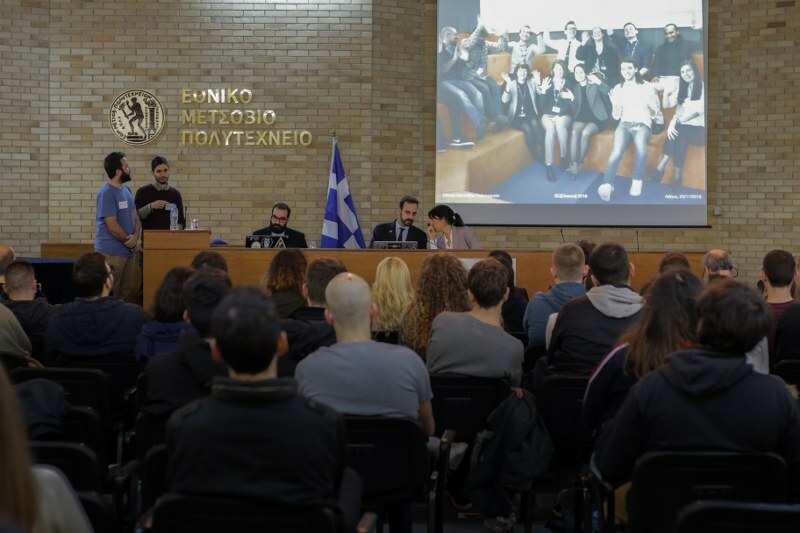 Speakers shared their experience of working in space institutes and companies in Greece or abroad, raised awareness regarding a career in the space sector and talked about scientific missions, technology applications, spin-offs, education and other capabilities. 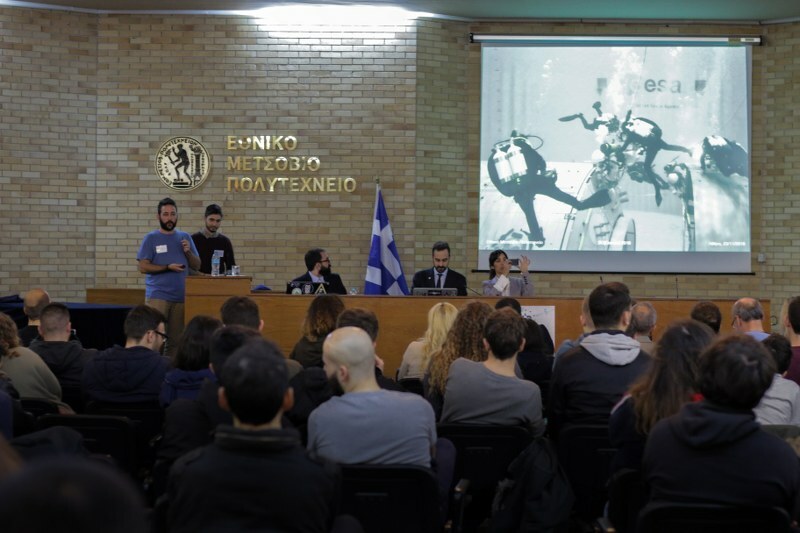 The event was also supported by the Harokopio University of Athens (HUA), the International Space University (ISU), the Transformable-Intelligent Laboratory of the Technical University of Crete (TUC-TIE Lab), the Libre Space Foundation (LSF), the Olympian Centre for Astrophysics (OCfA), OHB Hellas, the si-Cluster, Space Applications and Research Consultancy (SPARC), Moutzoura graphic arts company, the Greek NewSpace Society, Euroavia Athens, EESTEC LC Athens, Chemecon and volunteers that helped organise the event. The Space Generation Advisory Council (SGAC) is an international non-profit volunteer organization operating under the auspices of the United Nations (UN). Its goal is to promote the benefits of space exploration, technology and science and to inspire the new generation. We would like to thank all the participants for joining and we hope that SG [Greece] 2018 was just the first step towards the incredible, full of opportunities, world of Space.